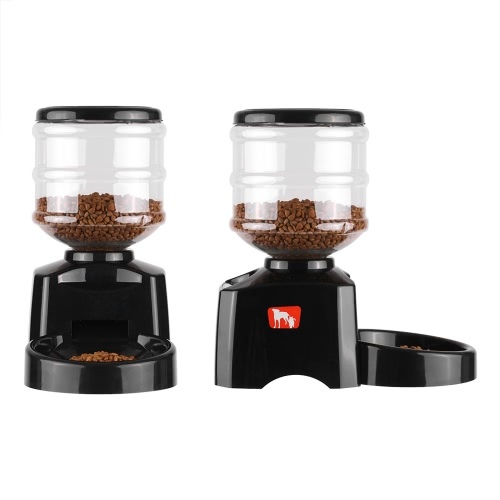 This is a practical automatic pet feeder when you're out for travelling, work or just train pets on a regular eating schedule. 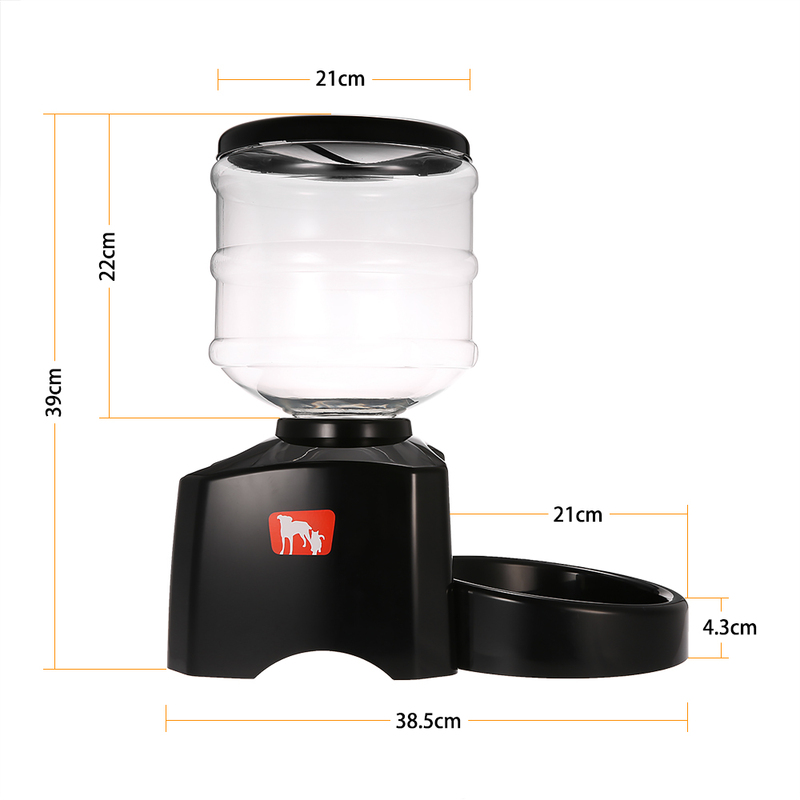 5.5L design can provide enough food for pet for several days. 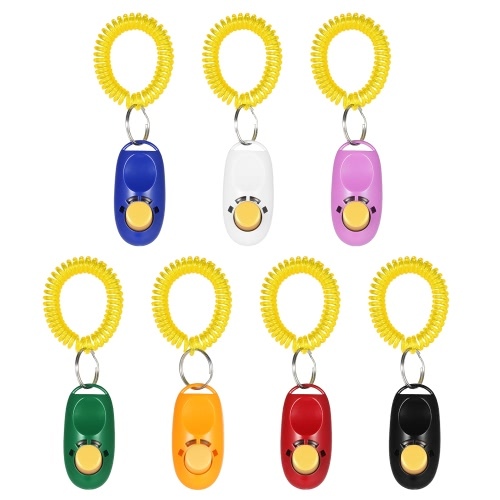 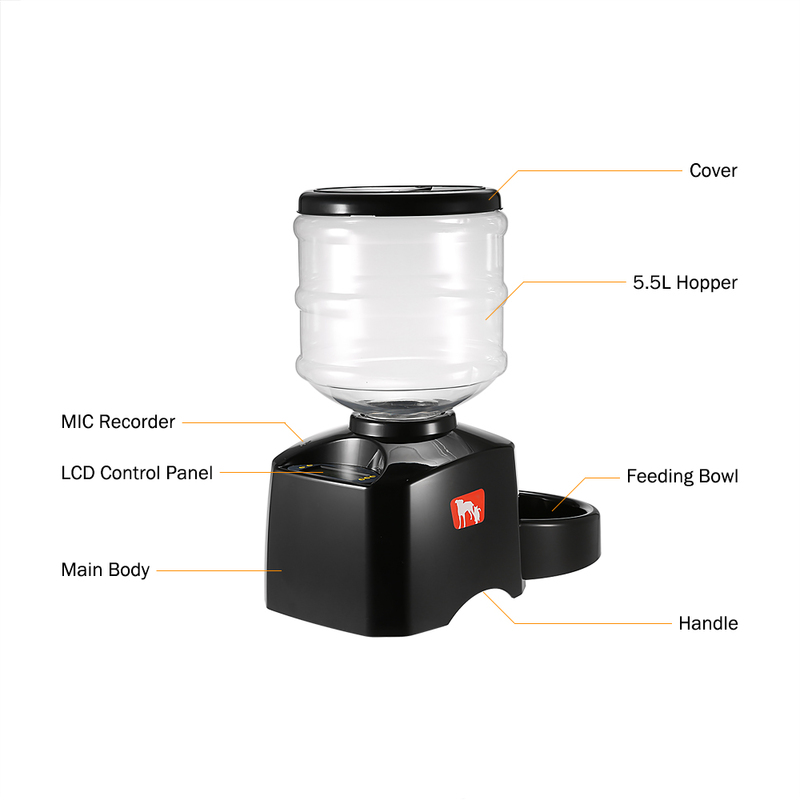 It also has voice recording function and can record feeding times automatically. Thus, you will not worry about over-eating or starvation of your pet. 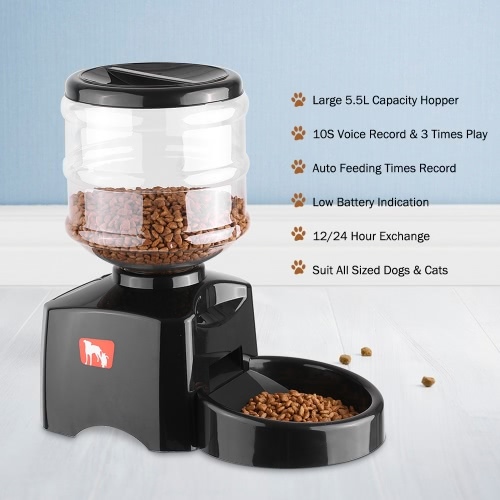 So ,why not get it for your pet? Automatic pet feeder, keep pet on a regular feeding schedule. 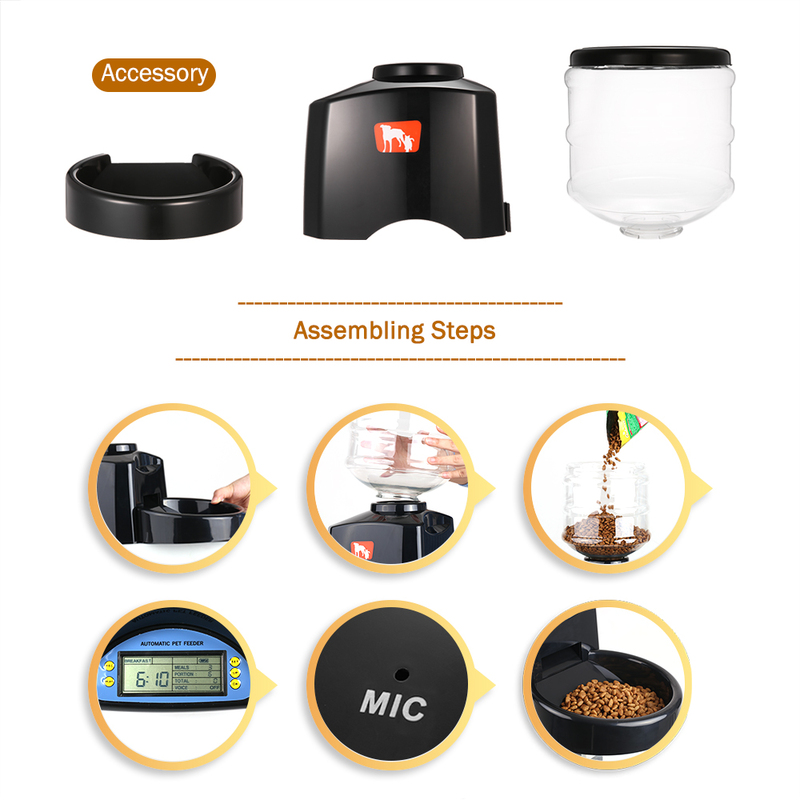 Solid ABS Plastic: Sturdy and non-toxic for long use. 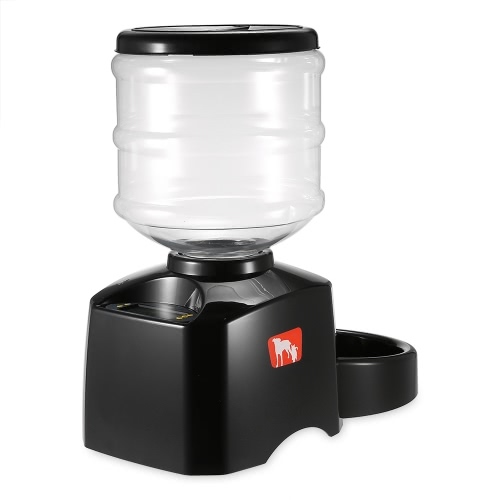 5.5L Capacity Hopper: Hold enough food for several days' pet feeding and clear to see remain of food. 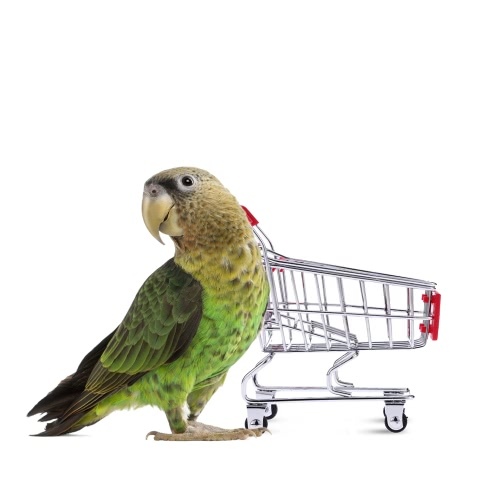 Reasonable Feeding Schedule: Schedule 1-3 meals a day and exact feeding time to minutes. 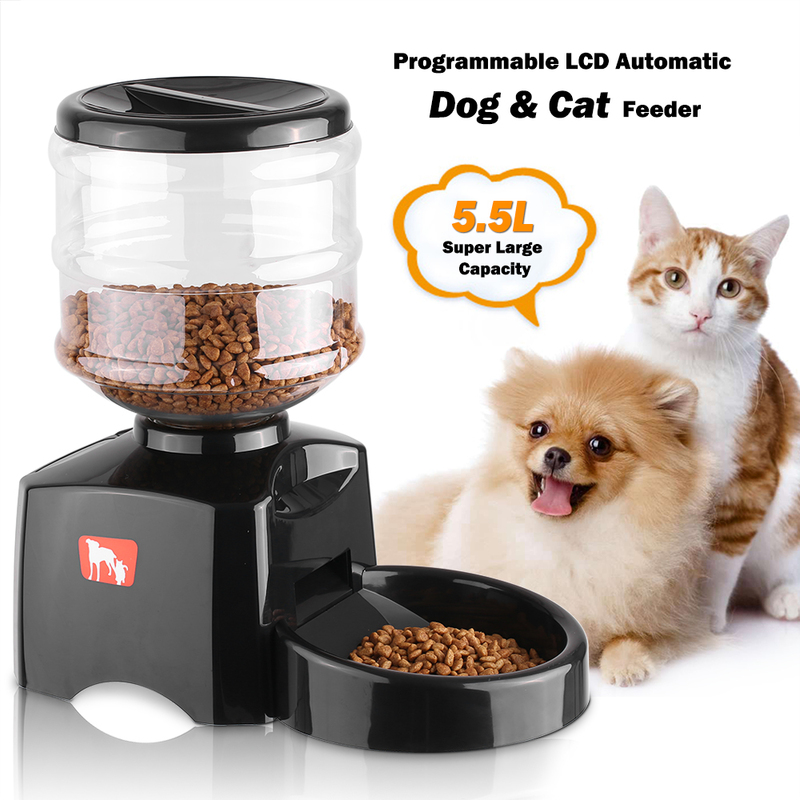 Flexible Meal Portion: Can set 1-12 portions per meal, 1 portion is about 30g dry food. 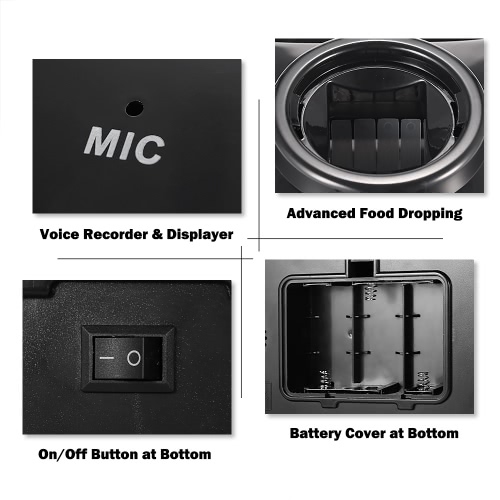 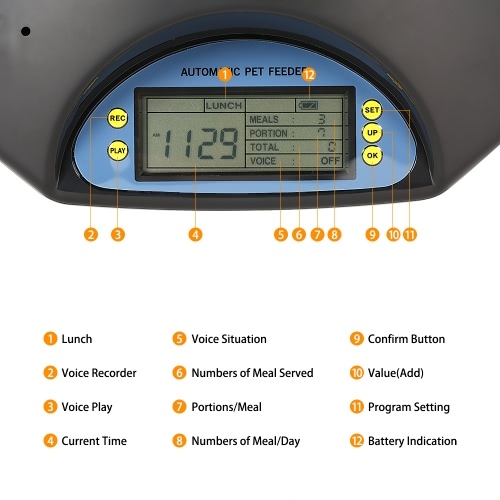 Built-in Voice Recorder & Speaker: Record your voice for 10sec and auto display 3 times clearly on each preset feeding time to remind pet to eat. 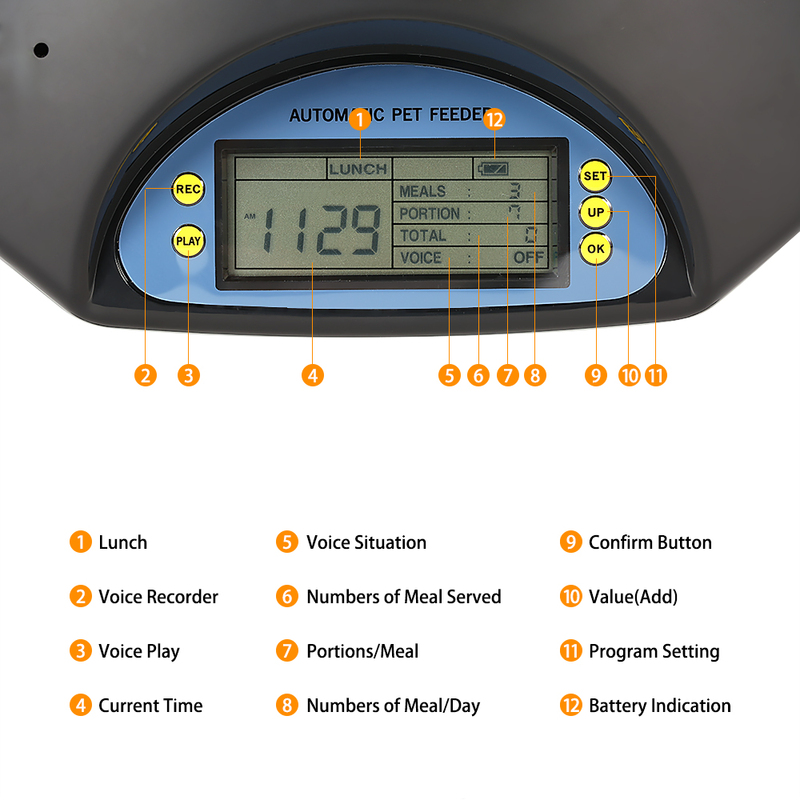 Auto Feeding Times Record: Auto count total number of meals already served, convenient to track pet's meal. 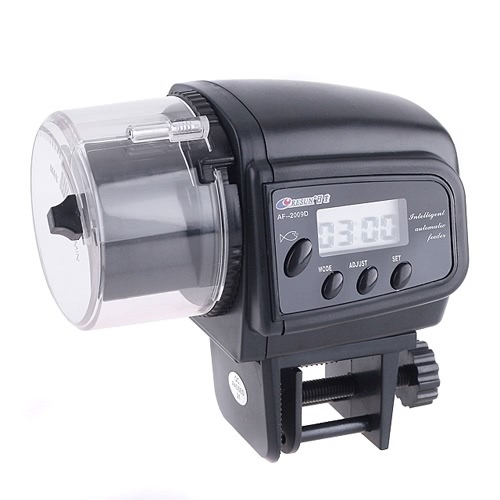 Low Battery Indication: Powered by 3 * 1.5V Battery, with 12/24 hour exchange. Suit All Sized dogs and cats. 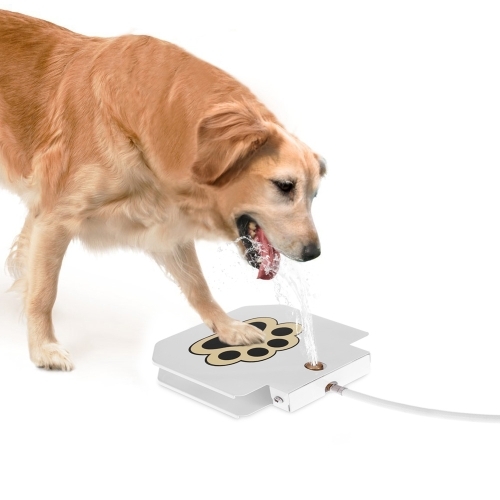 Perfect for travelling, work and prevent over-eating of pets. 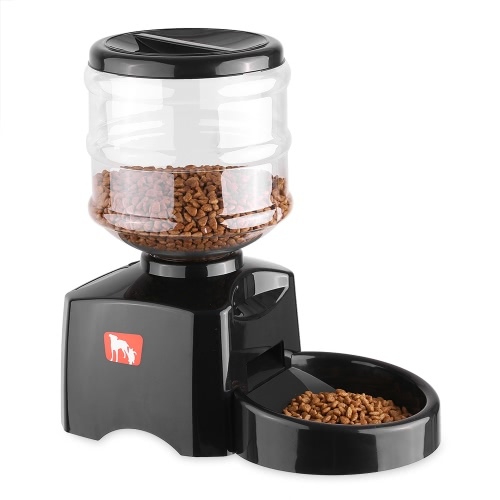 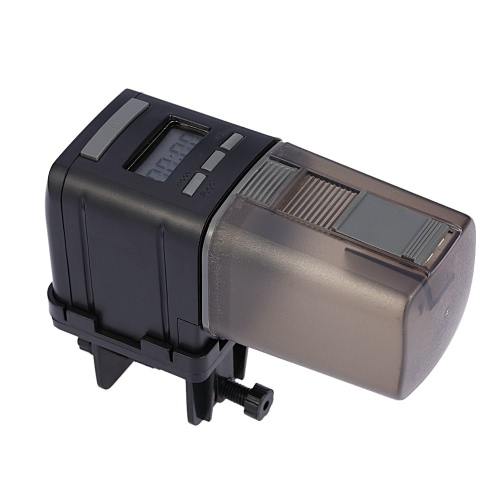 1.This auto feeder is suitable for dry food, and please don't put canned food or water into it. 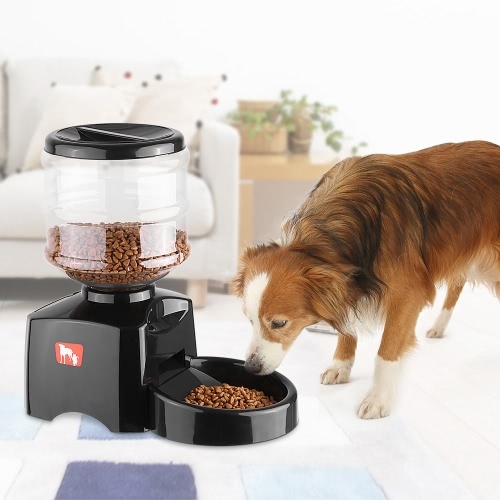 2.Please put small round pet food into hopper and don't put large, square or triangle shaped pet food into it, which is in order to prevent block of machine. 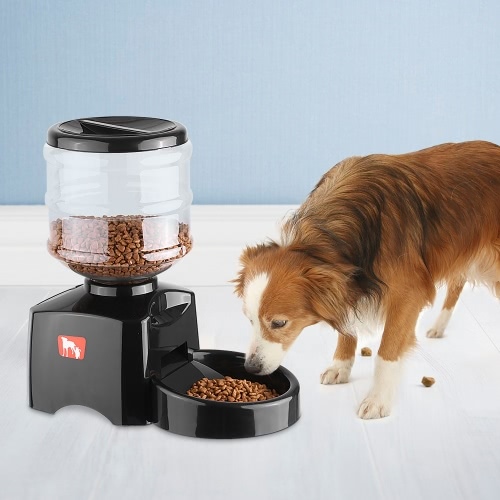 3.Food portion is designed portion-unit, for each meal, you can preset 1-12 portions for feeding, and there's about 30g dry food in one portion.